Do Bananas Help Muscle Spasms? Sweet, easy to obtain and versatile, bananas can be eaten as is or blended, mashed or mixed into a variety of foods, including muffins and smoothies. Rich in a number of nutrients, bananas are known for their high potassium content, which can help people with low potassium levels. Muscle twitches or spasms, which are symptoms of low potassium levels, may be alleviated by bananas. However, if the underlying cause of muscle spasms is more serious, such as epilepsy or another neurological disorder, bananas will not help. Low potassium levels, also known as hypokalemia, can cause muscle twitches or spasms. Other symptoms can include constipation, fatigue, muscle damage, tingling, numbness, heart palpitations and abnormal heart rhythms. Hypokalemia can result from an illness with excessive diarrhea or vomiting, as well as from chronic kidney disease or eating disorders, such as bulimia and anorexia. Heavy sweating, taking too many laxatives or using an antibiotic also can cause hypokalemia. 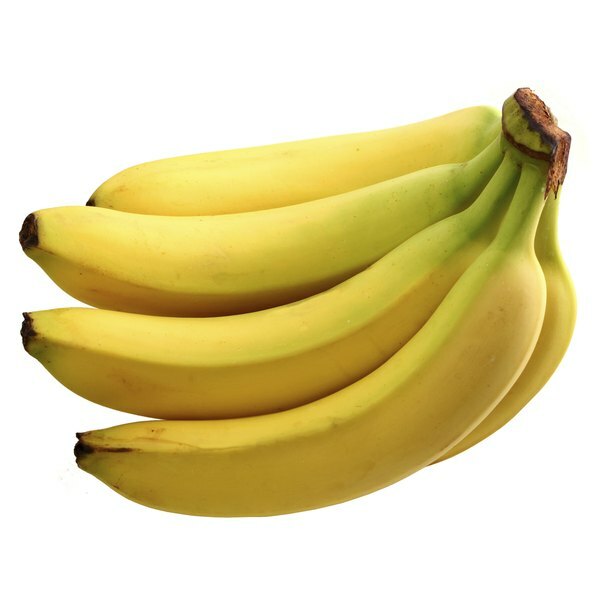 A 1-cup serving of sliced banana contains 537 milligrams of potassium, about 11 percent of what you need each day. The recommended dietary intake is 4,700 milligrams of potassium a day for most adults or 5,100 milligrams for pregnant and breastfeeding women. Potassium is essential for good health, as it is helps your body process and use carbohydrates, a key fuel. It aids in ensuring body development and growth. Potassium also regulates your heart’s electrical activity and helps maintain the acid-base balance in your system. Neurological conditions can cause muscle spasms that are not relieved by increased potassium intake. Symptoms of some conditions, such as dystonia, essential tremors and sometimes epilepsy, are improved through physical therapy, surgery and medication. However, other conditions, including Huntington's disease, are degenerative. If you are concerned about an undiagnosed muscle spasm, speak with a doctor immediately; early diagnosis often helps prevent the condition from worsening. For example, with Wilson's disease, early diagnosis can help prevent liver damage and possible failure. Diagnosing the root cause of a muscle spasm caused by a neurological disorder requires extensive blood or urine tests and, in some cases, genetic screening in unborn children and adults to determine proclivity for the disease. Some neurological disorders, such as Huntington's disease, are inherited; early identification can help patients alleviate the severity of symptoms and potentially delay onset. Early notification also gives patients more time to come to terms with the diagnosis, often helping them adapt better to the rigors of the necessary medical treatment. In cases where cures are available, such as with dystonia, treatment is started soon after diagnosis to improve the likelihood of recovery. However, for degenerative diseases or when there is no cure, treatment focuses on relieving symptoms.